Rupert is pleased to announce monthly portfolio reviews for artists based in Lithuania. Each month, Rupert selects 3 artists for a 1 hour live review by Rupert’s team members and an external arts professional. The portfolio reviews are part of Rupert’s commitment to supporting artists in the early stages of their career. Each review takes 1 hour, divided into a 30 minute presentation by the artist and 30 minutes of feedback. The reviews take place in English and the external juror will be announced to selected participants. Please send a short motivation letter (up to 10 sentences), CV and portfolio or website link to info@rupert.lt outlining why the portfolio review would be important for you, before September 5th, 12 noon. The second portfolio review, will take place on September 6th, between 2.30 – 5.30 pm. 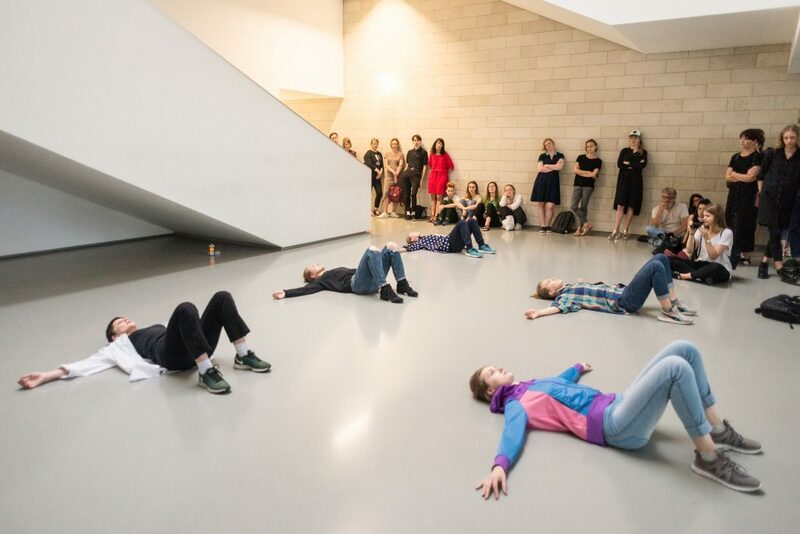 Image: Moment from a performance The Passage Between Us (These Little Truths) by former Rupert resident, Johanna Kotlaris, National Gallery of Art, Vilnius, 2017. Photo by Evgenia Levin.